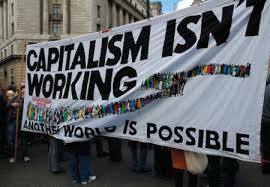 London Green Left Blog: What Is Socialism for the Twenty-First Century? These three sides of the “socialist triangle” mutually interact to form a structure in which “all the elements coexist simultaneously and support one another.”28 That very interdependence of the three sides, though, suggests that realization of each element depends upon the existence of the other two. Without production for social needs, no real social property; without social property, no worker decision making oriented toward society’s needs; without worker decision making, no transformation of people and their needs. All three sides are needed because the absence of any particular side infects the whole.29 Thus, this particular organic system reproduces its premises only through institutions and practices by which people develop their capacities on all three fronts. Because of the particular defects it has inherited from the old society, socialism must proceed to subordinate those elements if it is to produce its own conditions of existence. However, that process will be subject to many variations because every society has its unique characteristics (its unique history, its level of economic development and its internal correlation of forces) and exists in a particular external conjuncture. Given differing starting points, the paths to reach the goal will differ. One would search in vain, however, for any suggestion from Marx that it is possible to get to a future stage of abundance by trying to build upon a defect inherited from capitalism. Indeed, the second product characteristic of producing under these conditions points in precisely the opposite direction. Since the owners of the “personal condition of production, of labor power” want as much as possible for their property in an exchange with society, they look upon labor as a means to obtain articles of consumption, and if they do not get what they consider their entitlement (the equivalent), they offer less labor. Alienated labor to obtain alien products, alienation from other members of society, and alienation from the socially owned material conditions of production, and thus potentially their theft as a means of securing more articles of consumption. Could abundance ever be reached under these conditions? If alienated labor leads to constantly growing needs to possess alien products, can there ever be an end to scarcity? Heinz Dieterich, interview with Cristina Marcano, Rebelión , January 2, 2007, http://rebelion.org. Translation by Yoshie Furuhashi in MRZine March 1, 2007. In his talk at the 2005 World Youth Festival in Caracas, Dieterich stated that three objective requirements to construct a socialist economy are mathematical matrices (e.g., input-output tables), “complete digitalization of the economy,” and a computer science network between the main economic organizations. Karl Marx, Economic and Philosophical Manuscripts of 1844 , in Karl Marx and Frederick Engels, Collected Works , vol. 3 (New York: International Publishers, 1975), 302, 304. Marx, Grundrisse , 488, 541, 708. Karl Marx and Frederick Engels, Selected Works , vol. 2 (Moscow: Foreign Languages Press, 1962), 24. Karl Marx and Fredrick Engels, Collected Works , vol. 5 (New York: International Publishers, 1976), 4. Marx, Economic and Philosophical Manuscripts of 1844 , 305, 332–3, 342. Frederick Engels, “The Ten Hours’ Question,” in Marx and Engels, Collected Works , vol. 10 (New York: International Publishers, 1978), 275. Karl Marx, “Russian Policy Against Turkey.—Chartism,” in Marx and Engels, Collected Works , Vol. 12 (New York: International Publishers, 1979), 169. Marx, Capital , vol. 1, 548, 643, 799. Marx was emphatic, too, that capital destroys not only workers but also nature. Although a society can bequeath the earth “in an improved state to succeeding generations,” capitalist production “only develops the technique and the degree of combination of the social process of production by simultaneously undermining the original sources of all wealth—the soil and the worker.” Marx, Capital , vol. I, 638. Marx, Capital , vol. 1, 988. Marx, Capital , vol. 1, 548. Marx, Capital , vol. 1, 425. Marx, Capital , vol. 1, 799. Marx, Capital , vol. 3 (New York: Vintage, 1981): 178; Marx, Capital , vol. 1, 447. Marx, Capital , vol. 1, 619. Marx, Critique of the Gotha Program , 24. Marx, Capital , vol. 1, 614. Karl Marx, Economic Manuscripts of 1861–63 , in Marx and Engels, Collected Works , vol. 30 (New York: International Publishers, 1988), 191. For a discussion of the three sides of the social triangle and its logic as an organic system, see Michael A. Lebowitz, The Socialist Alternative: Real Human Development (New York: Monthly Review Press, 2010), chapters 1–4. Marx and Engels, The Communist Manifesto , in Collected Works , vol. 6 (New York: International Publishers, 1976), 506. Karl Marx, The Poverty of Philosophy , in Marx and Engels, Collected Works , vol. 6, 167; Marx, Grundrisse , 99–100. See, for example, the discussion of this problem with respect to Yugoslav self-management in Lebowitz, The Socialist Alternative . For a discussion of the processes involved in planning from below, see “The State and the Future of Socialism,” in Michael A. Lebowitz, The Socialist Imperative: From Gotha to Now (New York: Monthly Review Press, 2015). While some may not wish to call this set of institutions a “state,” because these are society’s “own living forces” and not “an organ standing above society” but “one completely subordinate to it,” it does not matter if they prefer to call these articulated councils a non-state or the “Unstate,” as long as all agree that socialism as an organic system requires these institutions and practices in order to be real. Karl Marx, “First Outline,” 152–53; Marx, Critique of the Gotha Program , 30. 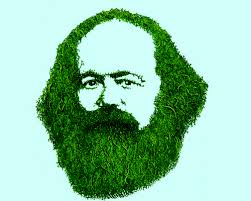 In socialism as an organic system, “every economic relation presupposes every other in its [socialist] economic form, and everything posited is thus also a presupposition, this is the case with every organic system.” A slight paraphrase of Marx, Grundrisse , 278. Marx, Critique of the Gotha Program , 23. V.I. Lenin, “Our Revolution,” in Collected Works , vol. 33 (Moscow: Progress Publishers, 1965). Marx and Engels, The Communist Manifesto , 504. Marx, Critique of the Gotha Program . Karl Marx, “The Civil War in France,” in Marx and Engels, On the Paris Commune , 68–73. One of the “birthmarks of the old society,” Marx understood, was that initially there was only a partial passage beyond the “narrow horizon of bourgeois right.” Although the material conditions of production were now common property, workers remained at the outset the “owners of the personal condition of production, of labor power.” Marx, Critique of the Gotha Program , 23, 25. Marx, Critique of the Gotha Program , 24-5; Lebowitz, The Socialist Alternative , 70–72. Lenin, State and Revolution , 115. 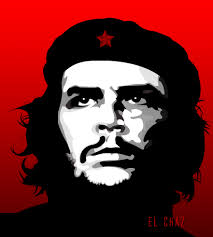 Che Guevara, cited in Yaffe, Che Guevara , 231. 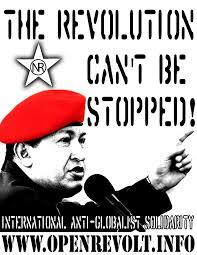 Cleto A. Sojo, “Venezuela’s Chávez Closes WSF with Call to Transcend Capitalism,” January 31, 2005, http://venezuelanalysis.com; Lebowitz, Build It Now , 109. Alo Presidente , episode 279, March 27, 2007. Very much along the lines of the banner in the photo, during the 1980's my guitar case sported a long sticker from the USA reading, "If you think the system is working, ask someone who isn't."